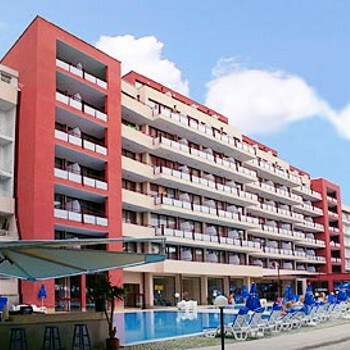 The Gladiola Star is a 4 star hotel located in the centre of the Golden Sands resort, Bulgaria. All 178 rooms are equipped with balcony, mini bar, satellite television and air conditioned as standard. The rooms were air conditioned with a balcony over looking the sea - the bedding and furniture was clean and well set out - we had the towels changed at least twice during the week. There was a health club and doctor on site and all the professional sfatt were first class - food and fruit was good and plentiful - on leaving the hotel 100 meters you were in the sea.